On Wednesday, Jan. 17, at the Library Community Room, at 6:30 p.m., the city will host a community meeting. At the meeting, we plan to allow plenty of time for questions and dialogue. 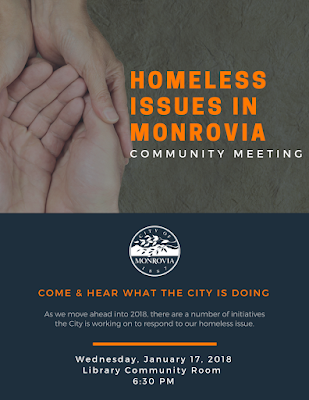 In addition, we also plan on sharing with meeting participants the things that we can and can't do in responding to homeless related issues, while also providing some preliminary information about proposed upgrades to Library Park this coming year.